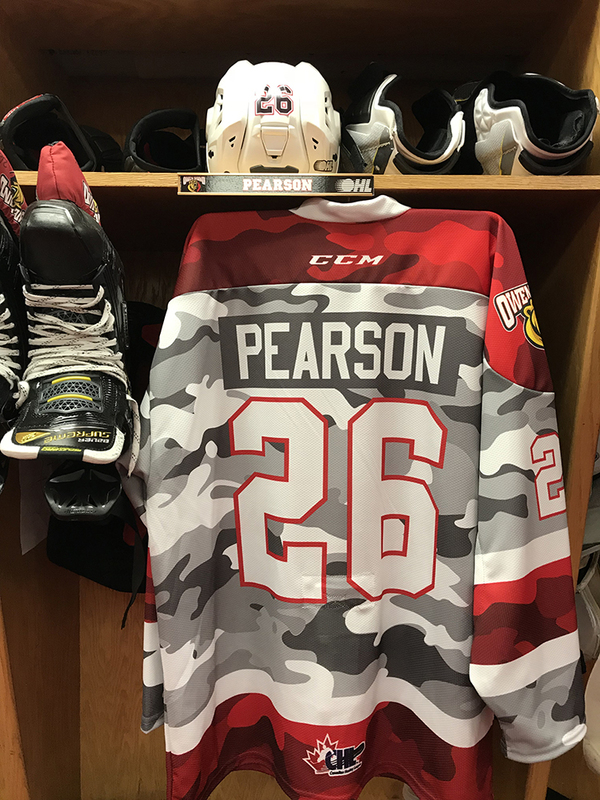 This jersey was game issued for 26 Kaleb Pearson for the Owen Sound Attack's Military Appreciation Game on November 10th, 2018. 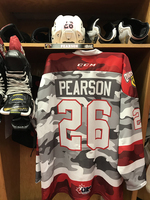 The jersey will be signed by the player before shipping, and the winning bidder will also receive the matching socks. All proceeds from the auction will be donated to the Royal Canadian Legion, Branch 6 in Owen Sound. 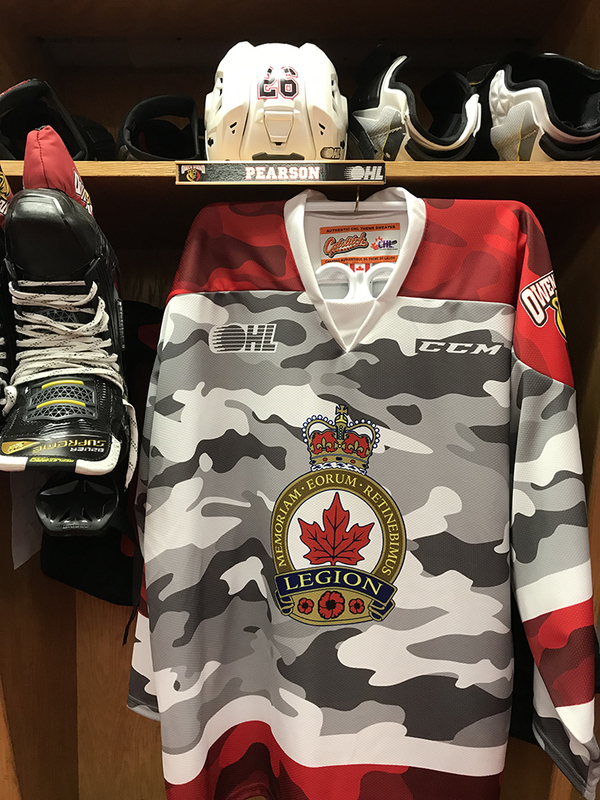 Please note that while all jerseys are game issued, not all will be game worn as some players may not dress in the game.